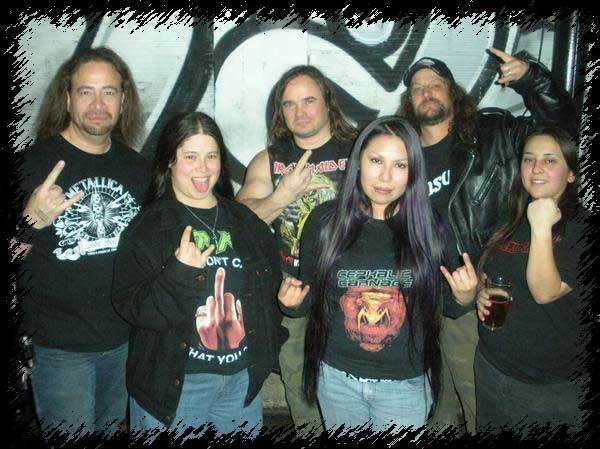 Suspended are an all female thrash metal band New Mexico, which is my neck of the woods. I was talking to a guy from another local band about them and he made a comment that the stuff these girls were writing was the stuff he wrote in high school. That may very well be true, especially considering all these girls at the time of this release are barely old enough to even go into a club. However that is also part of their charm. Suspended take a lot of old school metal influences and combine them with a youthful energy that comes straight out of the garage, along with a punk delivery and a passion for creating crunchy thrash metal. All this combines into something that is is harsh, angry, aggressive and quite enjoyable. It only took me a couple spins to start digging songs like "Venomous" and "Confusion". Both songs are dynamic in that parts of the songs are fast and furious, while others are slower and more melodic. The title track also features some speedy punk infused riffs and a simple shout along chorus. The girls also add a bit of variety in the short acoustic intro "0-14". As well, the opening moments of album closer "Dead" start off as a melodic, acoustic piece before bursting into another heavy, guitar driven song.Vocalist Melynda Montonyo has a high, venomous, srhill voice that works well with the band. For the most part, what you are going to get with Suspended is the sort of stuff that you pump your fist and bang your head to. Isn't that what metal is all about? Keep an ear out for these gals, they are only going to get bigger and better! New Mexico's all-female, power-trio thrash metallers comes screaming back with their third releaes. These gals are relentless and have been destroying ears in the underground metal clubs for nearly a decade now. 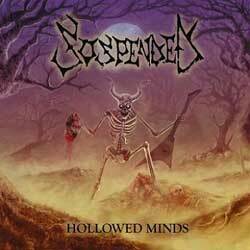 "Hollowed Minds" continues where "Prelude to Indignance" left off. 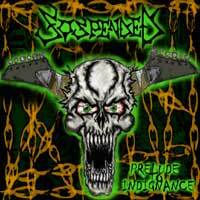 Raw, crunchy, hyper, energetic thrash metal. However, while this album embodies the youthful energy of their 2008 debut, it also shows the band has progressed. Perhaps the most immediately noticeable improvement is in the vocals of Amanda Castillo. Her voice is raw and shrill but with a guttural depth that was not present before. Also, the band seems to have incorporated a few more guitar leads, which is very welcomed. The other big improvement is in the recording quality and overall performance, which is far and away superior to their debut. The album opens with a minute long intro before unleashing a full speed assault to the ears. From this point on the barrage of machine gun riffs, pounding bass and drums is none-stop. While the song writing and riffs aren't overly technical, the band does incorporate some melody and memorable hooks. However, melody and catchy hooks clearly are not the point of this band. The gals are all about riff driven fury, and that is exactly what they deliver.